Douglas, K.H., Wojcik, B.W. & Thompson, J.R. (2012). Is There an App for that?. 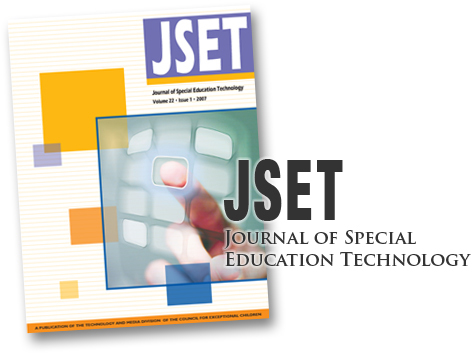 Journal of Special Education Technology, 27 (2), 59-70. Retrieved April 26, 2019 from https://www.learntechlib.org/p/113991/.